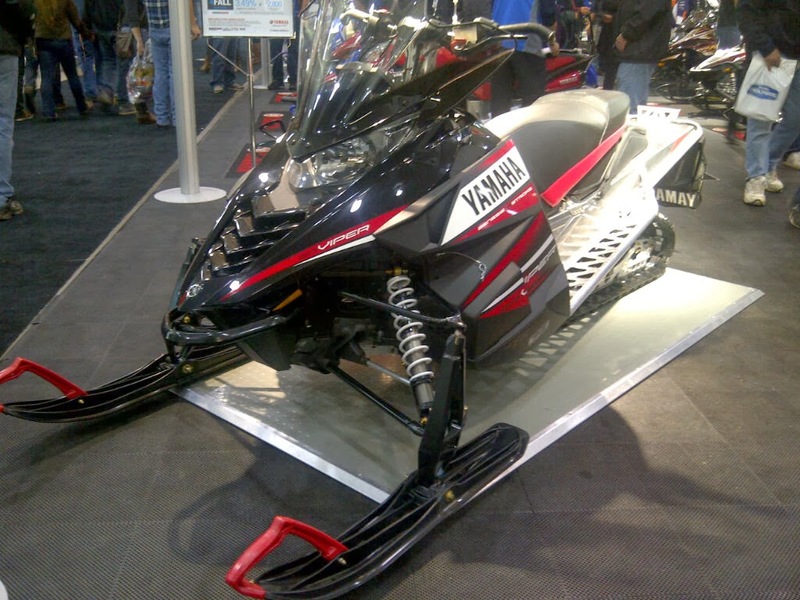 The SRViper L-TX as shown at the Toronto Snowmobile Show Oct 25-27, 2013. Arriving at Kelly's Cycle Centre next week. SRViper L-TX Accessories include Tuner Dual-Runner Skis with Runners with carbides ranging from 0", 2", 4" or 6" carbides. Also snow flaps and a variety of SRViper Decal Graphic Wraps. The SRViper DuPont Slide features DuPont™ Vespel® material inserts are now in stock.